The Multi-Purpose Pad's outside layer is soft polyester loop fabric that is Velcro hook compatible. The inside layer is soft fleece with a foam padded center. Elastic straps securely hold the wrap and permit flexible size adjustments. 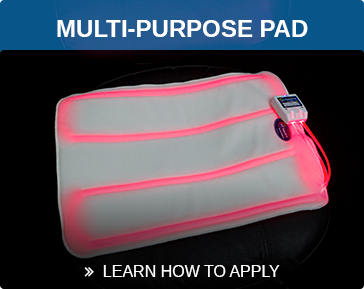 The Multi-Purpose Pad is 14" H x 20" L and is ideal for treating the back, abdomen, thigh and buttocks. 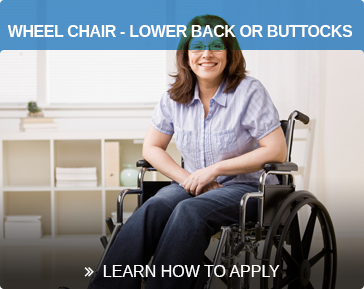 It works well when sitting in a chair, wheelchair, on the couch, while driving or laying in bed.